Events to honour the 2015 recipients of the John Laing Professional Development Award are being held this month in Darwin, Perth and Brisbane. Other states will hold their events later. Since 2004, the Institute has acknowledged school leaders across Australia who demonstrate outstanding school leadership and professional learning with the annual Awards. John Laing, a Tasmanian Principal, was a foundation member of the Australian Principals’ Association Professional Development Council (now Principals Australia Institute). John initiated cross-sectoral professional learning projects. The Institute set up the Award in his honour on his retirement. 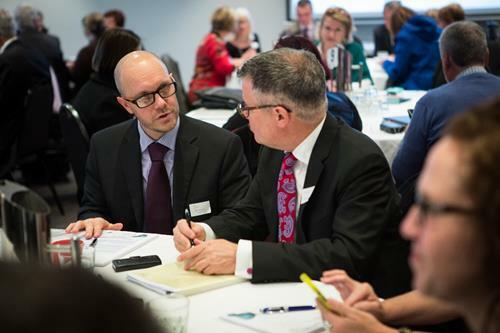 More than 50 Australian principals from all sectors of schooling: government, Catholic and Independent, converged in Melbourne on Friday 24 July to launch the Prototype Trial for an industry-first certification. Australian Principal Certification recognises the impact of the role of educational leadership on quality student learning, teaching and schools. Glen Huon Primary School story outlines the steps to implement KidsMatter Primary since 2010 and the ways that wellbeing has become a strong theme in the school community. 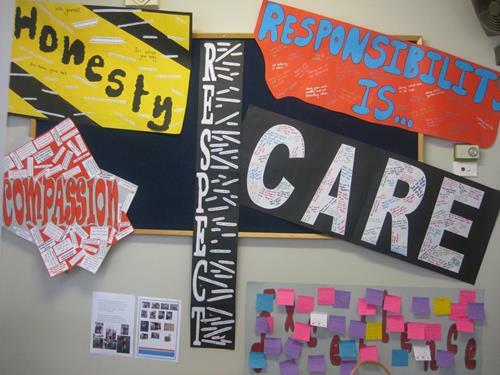 The school has focused on social and emotional learning and building partnerships with parents. The school is located about 50 kms south of Hobart. There are 135 students from Kindergarten to Year 6. Jo Mason, Director of Innovations and Professional Learning at PAI, will present two workshops at the Special Education Principals' and Leaders' Association. They will focus on the role of leaders in assisting new teachers working with Special Needs students in mainstream classrooms. Jo will also introduce the PAI resource, “Graduate and Grow’. The Institute and APPA are working together with Dr Ron Beghetto, an international expert on creativity in educational settings from the University of Connecticut. Ron will present two workshops at the Conference. Jo Mason, Director Innovations and Professional Learning, is scheduled to present two workshops on workON health and wellbeing at the Conference. The sessions will assist principals to examine health and wellbeing as an area of concern for sustaining leadership in schools. The ACE Young Professionals – South Australia is a group of teachers from the three sectors who are developing the voice of young educators within ACE. Jason Loke, Associate Director, Innovations and Professional Learning at PAI, is the lead presenter will be assisted by three other teacher-colleagues. The presentation, ‘The Bleeding Edge and the Leading Edge – The double edged sword of young professionals’, will provide a focus on the role of early career teachers and the development of relationships with experienced educators and the use of technology to improve student learning outcomes. Schools that explicitly teach social-emotional learning (SEL) create positive learning environments and see an average 11 percent increase in standardised test scores. This is a great opportunity to hear the latest information on SEL in Schools. The two conference themes are: Leading curriculum learning areas and Curriculum diversity and inclusion. With the theme ‘Courage & Commitment to Lead 2015’, the conference celebrates leadership. "Your brain is a muscle! Use it or Lose it!" An annual day to remind people to ask family, colleagues, students the question, R U OK? The aim is to raise awareness of mental health issues.